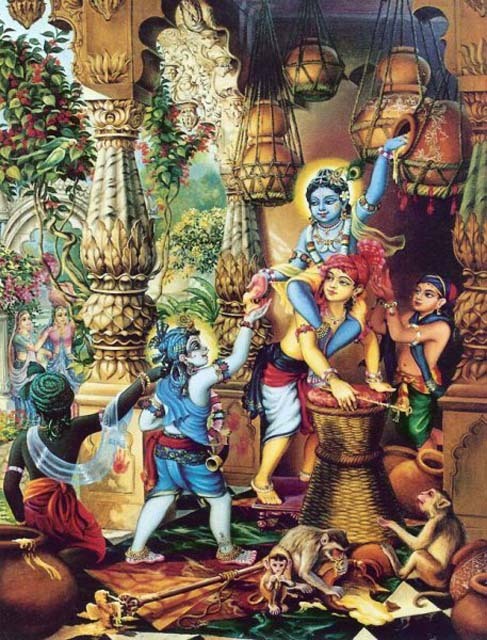 The association of Kadamba tree with Lord Krishna is most memorable . 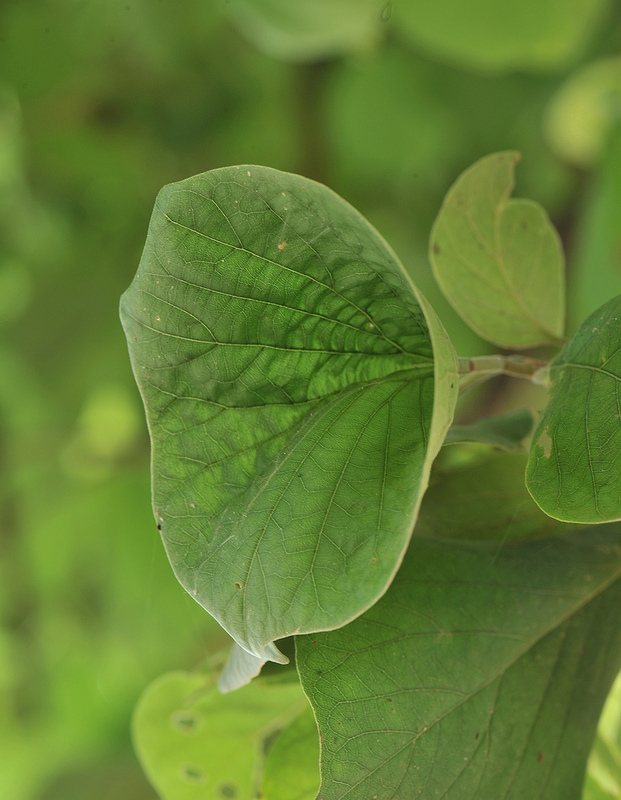 The Kadamba tree is consecrated by all the the devotees of Lord Krishna and its flowers are used as offerings to LORD at various temples. 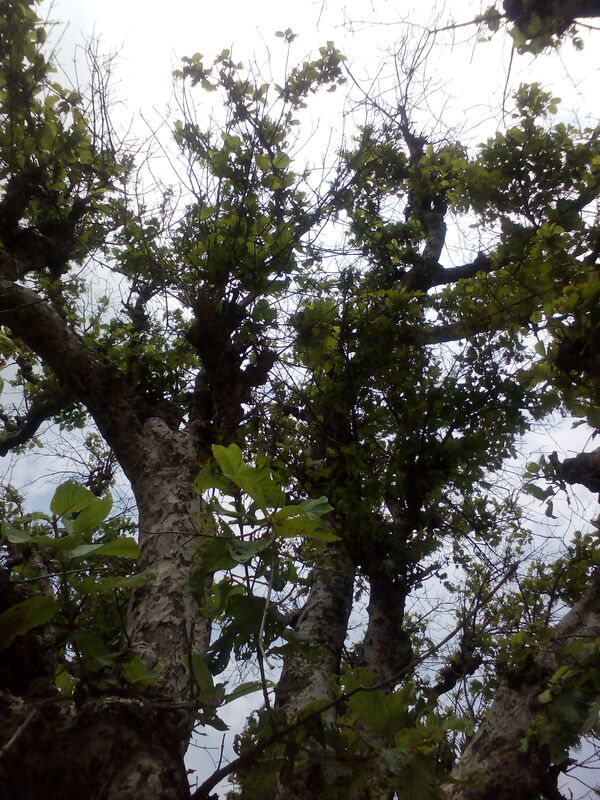 Several legends that are related to the Kadamba tree are famous to relish . 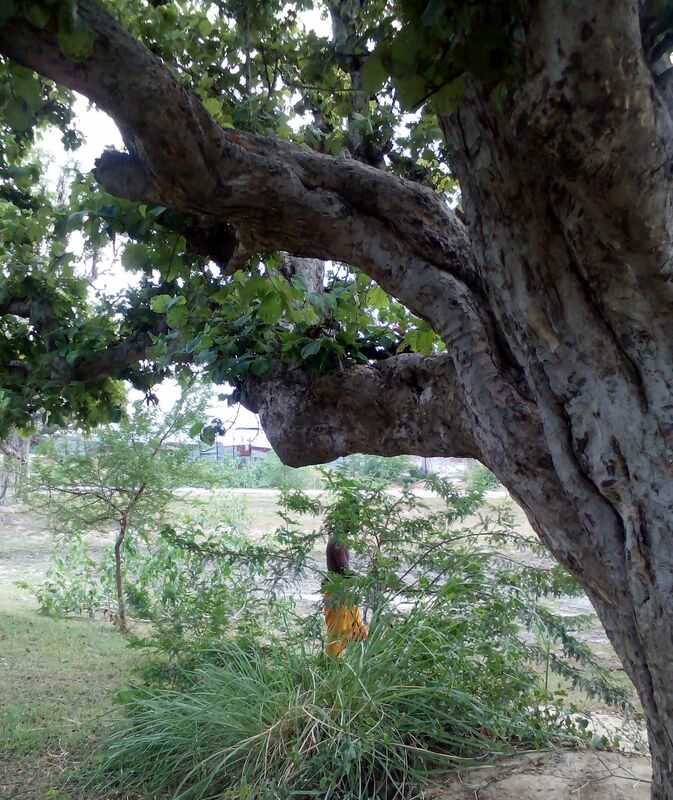 Under the Kadamba tree, Lord Krishna used to swing from the branches and dance in festivity with all the gopikas of Vrindavana. while grazing the cows along with the gopas near GOVERDHAN near a village Sammai our little krishna saw a elder gopa distributing kheer ( payasam ) to bhagavathas . Our little krishna approached the elder gopa and asks Bhayya !! what about my share ?? The elder gopa smilingly asks ( chinni krishna ) kanhaiyya to get a cup for collecting the Kheer not knowing what our chinni krishna can do .. 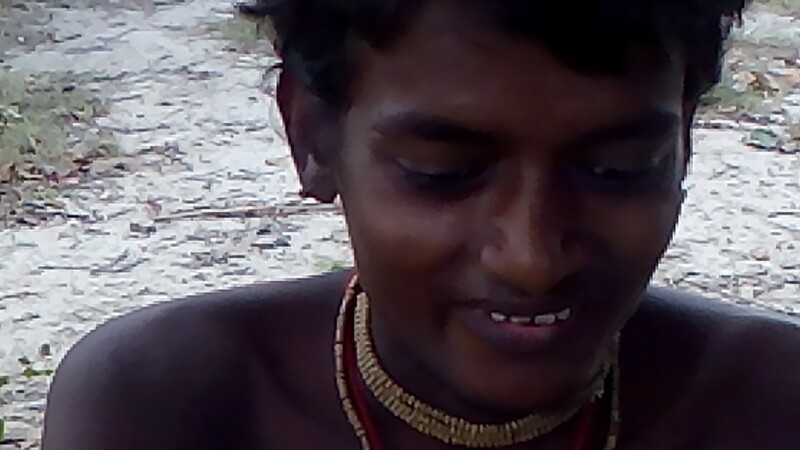 The butter thief he was goes near the Kadamba tree and asks for a leaf Cup . The Kadamba tree with all obedience bows down to the Master and gives its leaf in the form of a small cup for kanhaiyya to have that Kheer . This divine leela which was enacted few thousand years ago still continues in the sacred dhaam of Vrindavan near Giriraj Goverdhan . As a part of our Vraj Dhaam yatra , during Sri Goverdhan Parikrama , we were eager to have darshan of the divine cup . 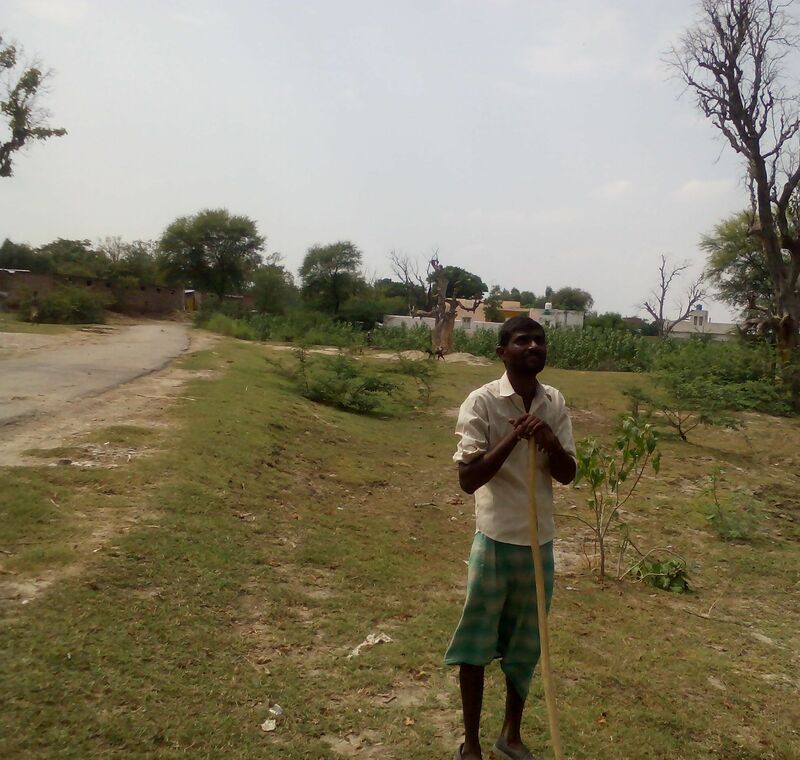 We had to go inside the village from the Goverdhan parikrama marg upto almost 3 kms in search of the kadamba trees . Praying LORD for his grace we were trying to request vrajwasi to help us in having a darshan of the leaf cup which is rarely visible . A brajwasee passing by entered the scene , but was not very sure about the location . Our chant of the Holy name somehow attracted a dark skinned young boy who suddenly appeared under a tree smiling at us . He was nowhere around when we searched . It was all of a sudden he appeared and the miracle happened…….. He called another vrajwasee ( who was also not seen for few seconds ) , and told him to go to a particular Kadamba tree and come with the divine cup . Within seconds the divine cup arrived and it was a blessing to have a darshan of the butter leaf cup from the kadamba tree which was graced by a vrajwasee himself . This divine anubhutee can be felt even after 5000 years the kadamba tree gives that divine cup to the lovable brajwasees ..
We later spent some divine time with this young lad (!) discussing some esoteric truths on Premabhava of gopikaas and Lord’s love to his devotees ..
Next post… Lord of abundant grace.. KripasamudraPerumal…ThiruSiripuliyur…. Jai Sri Radhey! Unspeakable Grace – tears in my eyes watching and listening. i bow to Lord Krishna for His Presence even today – in Vrindavan and on the internet and in our eyes and heart. I cannot express my gratitude in words to you for sharing this divya achintaneeya leela. Jai Sri Krishna! Radha Rani ki Jai! Swamin, I think you are not at all living in the current time and in my humble view living along with Lord Krishna in Vrindhavan, by going back to those days ! ( பிருந்தாவனத்தில் கண்ணன் வளர்ந்த அந்த நாளும் வந்திடாதோ ? ! ) I had listened to Sri Anantha Padmanaba Char Swamy about a narration on Lord Krishna. 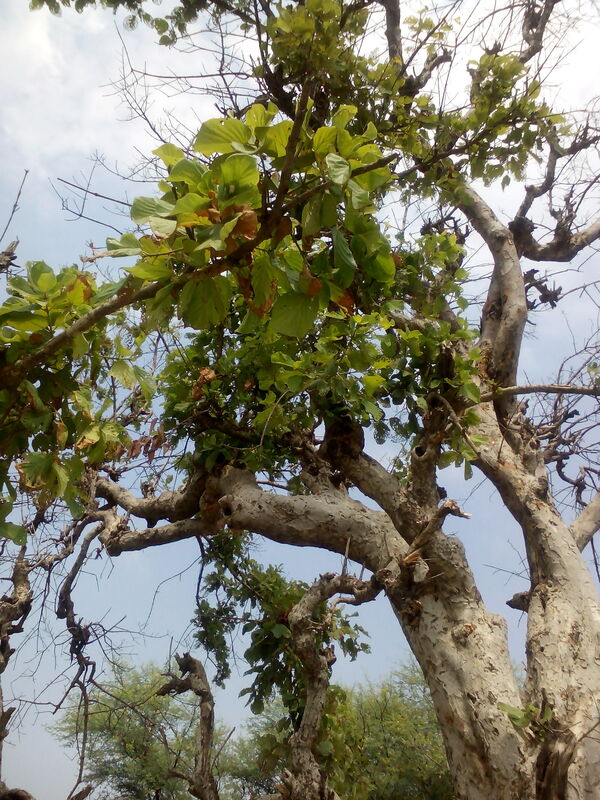 It was said that Lord Krishna used a greenish Kadamba tree’s branch ( by climbing on it ) and jumped on the head of Kalinga. How can the tree be greenish, when it is very near to the water where the Kalinga is emanating deadliest venom ! It is because of the Lord’s holy feet that the tree had become greenish again ! Excellent narration ! Lovely lad, krishna. His actions and song are enthralling. Sweet moments are in place, while viewing. Radhe Radhe Radhe Shyam. Thanks v much for sharing this amazing experience. And the impromptu performance of the simple lad! We are also blessed through you to see the kadamba tree leaf cup and could fell the Divinity in that boy singing so beautifully. We could remain very peaceful during those few minutes. One can imagine how you would have felt when you were in front of that boy with the leaf cup and listening to the beautiful song from the innocent and divine voice. We are thankful to Lord Krishna for our Association with you. going through it is a sort of divine experience. Oh! 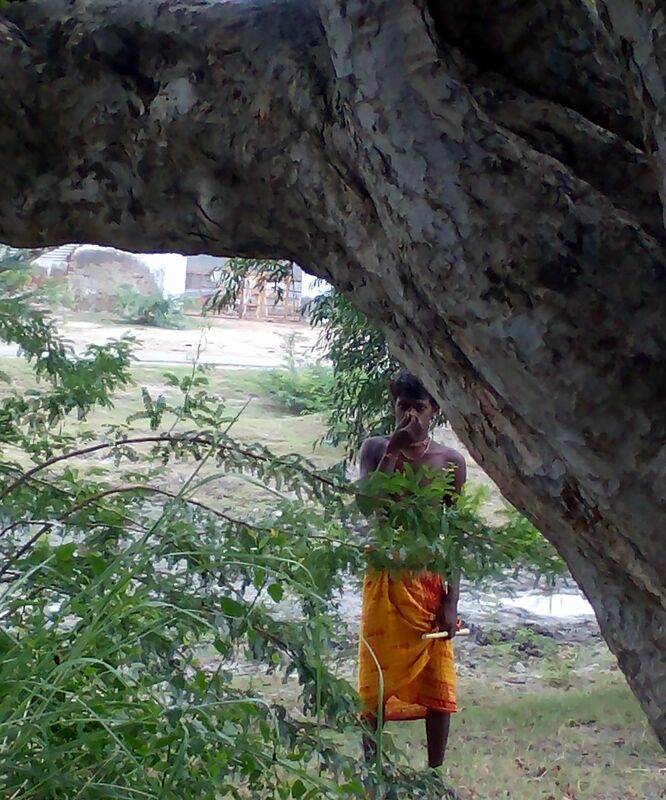 What a DEVOTION & ecstasy the simple boy depicts keeping the Kadamba leaf cup in his hand! Spiritual voice! The amount of peace he experiences can never be done by any urban boy amidst all luxuries. This is the Truth of the DIVINE GRACE! Just as one associated with Sri Ramanuja will attain Vaikundam, One with you will also attain inner peace! Adiyen! Ramanuja Dasan – Jai Sriman Narayana! The Kadampa Cup leaf story was amazing. Can we the same/cup leaf when we visit that place. It is a miracle. Thanks for sharing it.